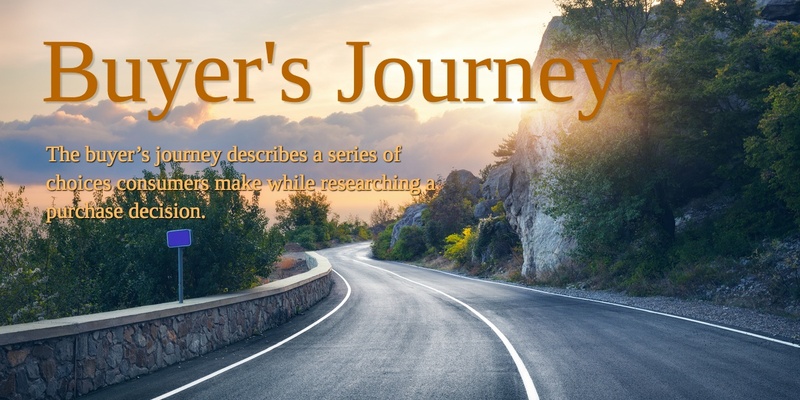 The buyer’s journey describes a series of choices consumers make while researching a purchase decision. The buyer’s journey is comprised of three main stages: awareness, consideration, decision. In the first stage, people become aware of a problem they need solved and begin to research solutions. In the second stage, they consider the various solutions to their problems. In the final stage, they consider which vendor to purchase from. Smart content marketers use the buyer’s journey to create relevant, helpful content for their consumers for each segment of the buyer’s journey to help buyers make well-informed purchase decisions.